Dripping with a balsamic vinegar reductions and light spices, this is a family favourite. 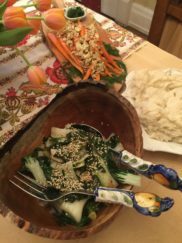 Carrots with dill/almond, bok choi with sesame and ponzu sauce, rosemary infused fresh mashed potatoes. 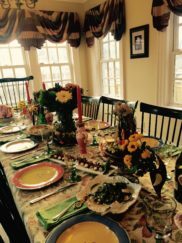 All of our meals, whether a celebration or not, are colourful, formal and “an event”. 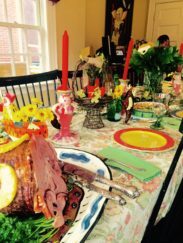 This one is Easter, 2015. 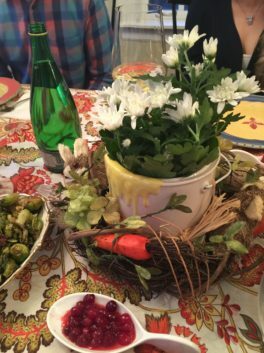 Bright, colourful and festive of the occasion…Easter is a big event in our home. 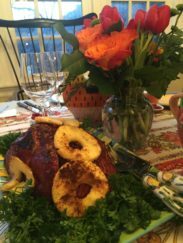 Clove,pineapple and ham – as a vegetarian this is hard to stomach cooking. 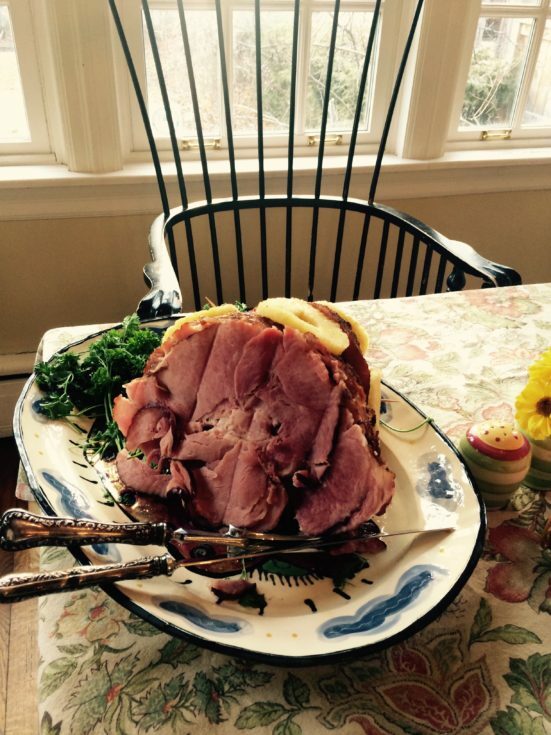 My husband, in particular, corners the ham – loves the brown sugar dressing and the moistness. 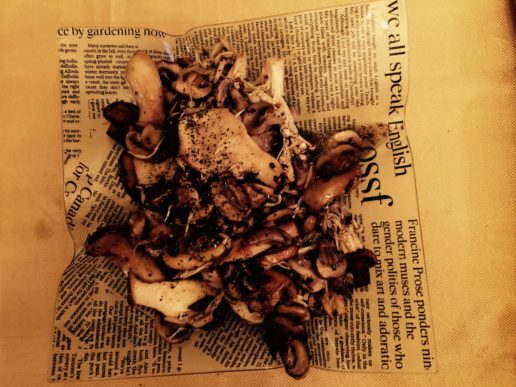 Possibly one of the most complicated simple dishes to get right. 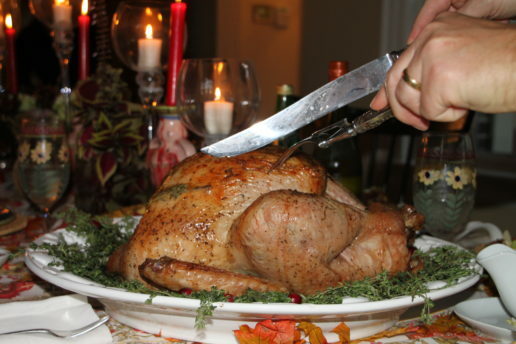 A family favourite, roast lightly with fresh dill. 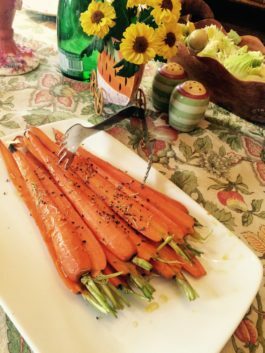 Carrot tops are left on for effect and the carrots are always lightly cooked – el dante. 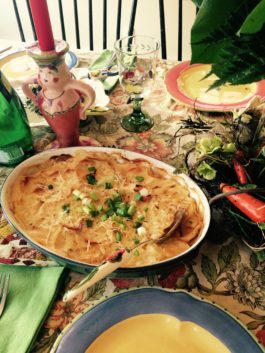 Marlene suggested a light parmesan coating (last minute) with the onion garnish. 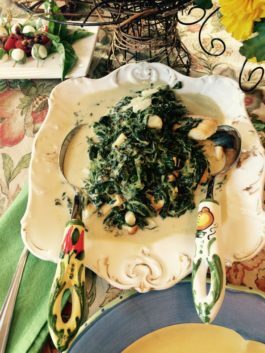 Her family loves this recipe – our devoured it too. 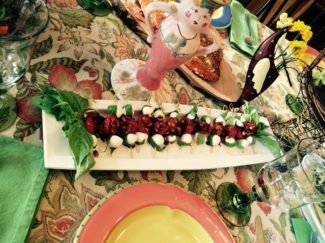 For the vegetarians at the table – this is the go-to Easter dish (atypical) tradition but familiar in our household). 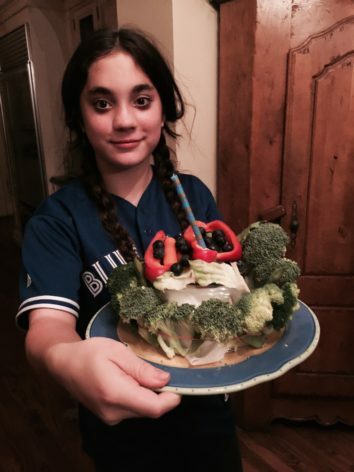 This wonderful girl knows what I like…creative broccoli birthday cake. 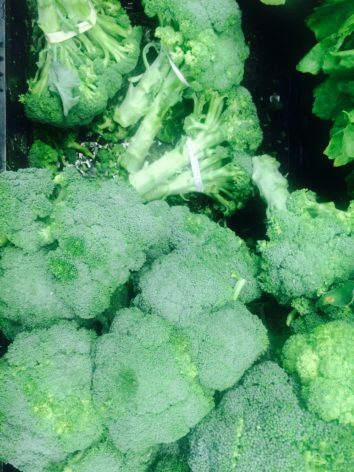 My absolute favourite food…none other than broccoli (spinach is a distant second). 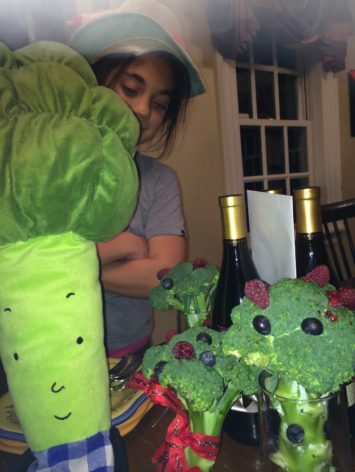 Best gift ever…Broccoli cushion from my wonderful friend Karen….decorated Broccoli from my kids.